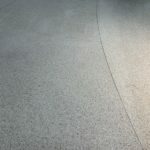 Terrazzo repair and restoration is one of our specialties, so we were not concerned about the size and scope of a repair we were contracted to complete in Danvers, MA. 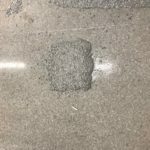 Due to leakage and severe water damage to the floor, a large area of terrazzo flooring had cracked and become unstable. 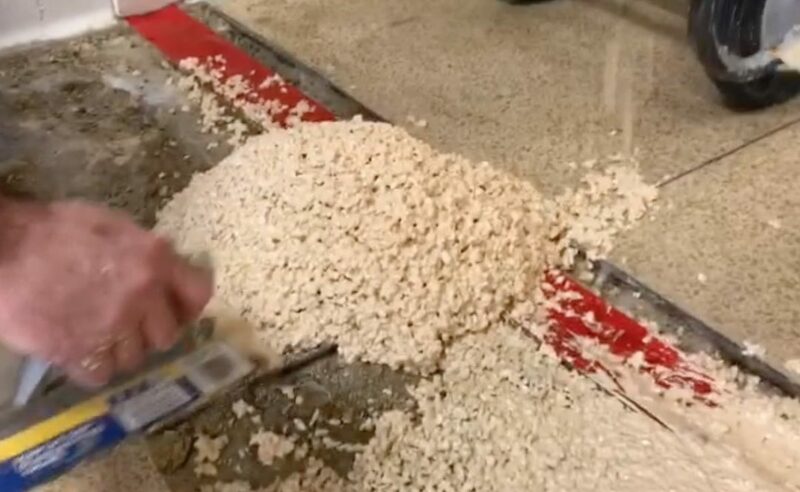 In order to repair the area, we had to jackhammer out all of the cracked and damaged stone. Next, we mixed color matched epoxy and stone pieces and filled in the area we had jackhammered out. 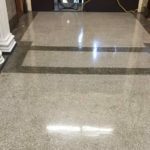 Lastly, we ground it flat and polished it to a high shine to match the rest of the floor. I think you will agree the results are fantastic!